Are you getting the most from your cut files? These wonderful little files have so many uses and sometimes it's hard to imagine them for anything other than the humble card. 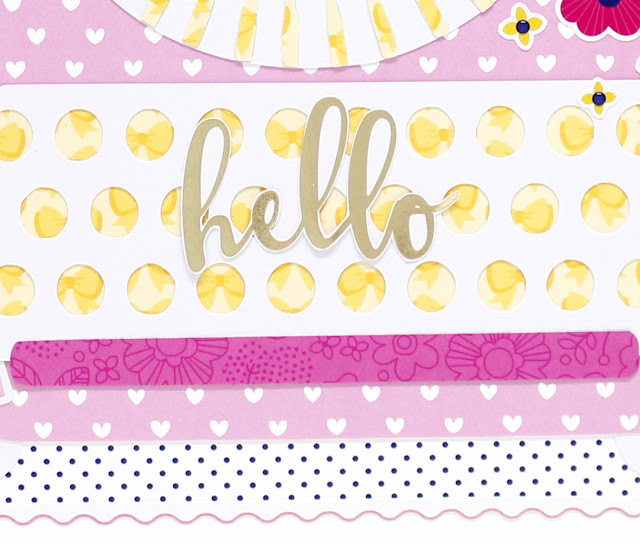 Anita is certainly not shy in adding cut files to her layouts in really dramatic sizes. 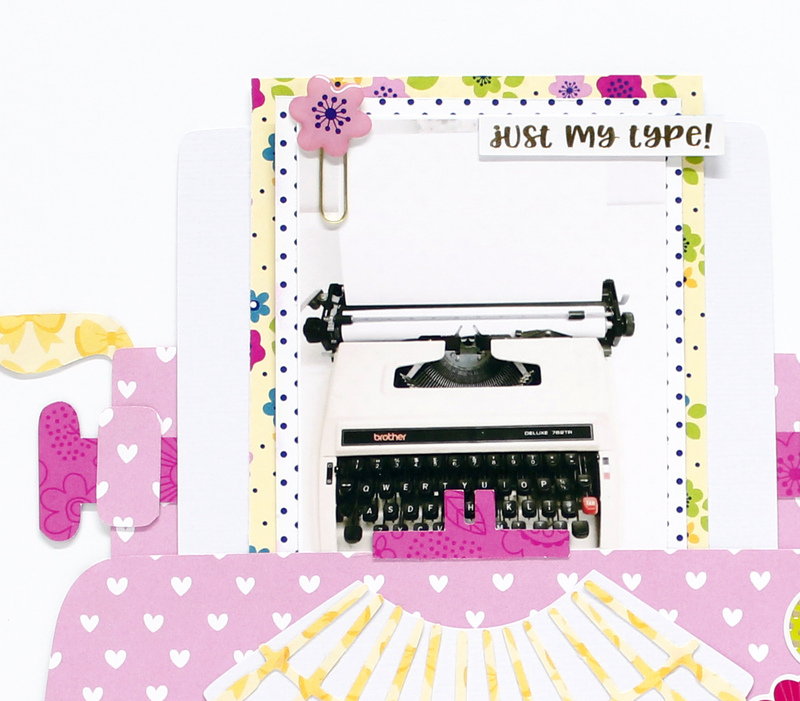 Today she is sharing a truly beautiful layout using a large version of our 'Hello - Typewriter'. 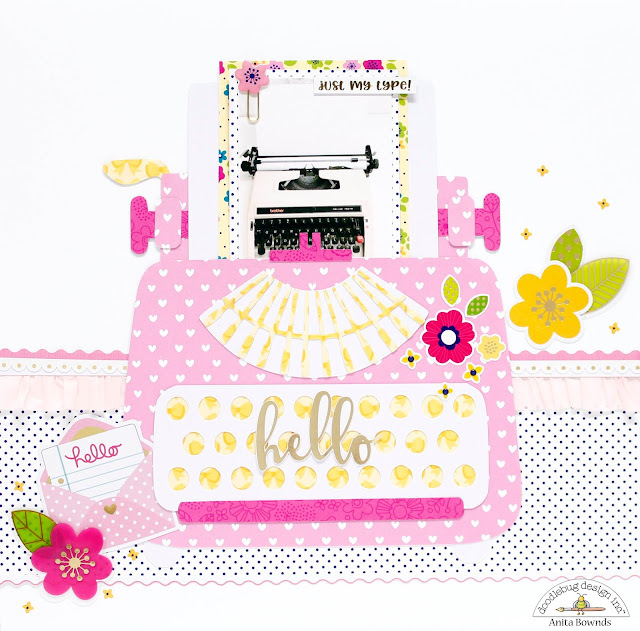 Anita has put together a process video to share all the little details that go into her layout. You can use the negatives so don’t throw them away!! Love this layout! So fun! 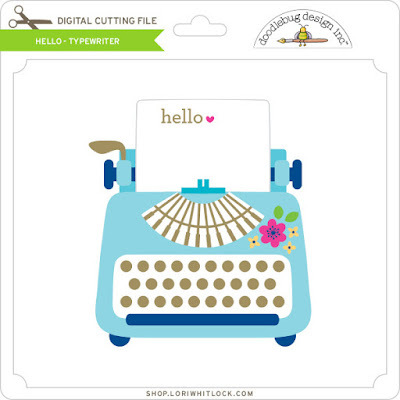 Great design ... love how you used that cute typewriter!